A new £15,000 Children’s Writing Fellow is to be appointed by the Arts Council of Northern Ireland and the Seamus Heaney Centre for Poetry at Queen’s in memory of Seamus Heaney and his contribution to literature. 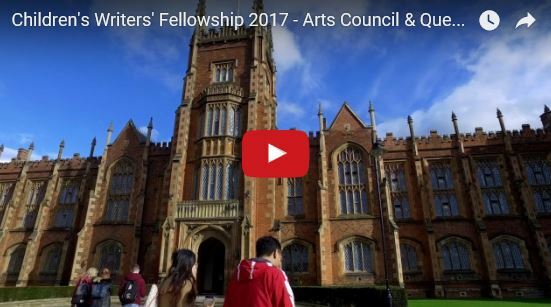 Developed by the Arts Council of Northern Ireland and Queen’s University Belfast, and supported by National Lottery funding, this is one of a number of projects created to ensure the legacy of Seamus Heaney, and to inspire and support current and future generations of creative writing talent. Expressions of interest are now invited for the two year, part-time post, which will attract a remuneration package of £15,000 per annum. Details of the appointment will be announced in April. Winner of the 1995 Nobel Prize for Literature, Seamus Heaney is a former student, staff member and honorary graduate of Queen’s. A keen and selfless supporter of his alma mater, he gave his name to the Seamus Heaney Centre for Poetry, crafted the University’s Centenary Stanza and donated many copies of his early works to Queen's. Often cited as the finest writer in the English language during his lifetime, he introduced millions of people around the globe to the enjoyment of poetry both before and after his death in 2013. Once in post, the Children’s Writing Fellow will perform a range of duties which promote an interest in reading and writing from an early age by encouraging creativity and engagement with books. Dr Damian Smyth (pictured right, above), Head of Literature at the Arts Council of Northern Ireland, commented: “Seamus Heaney was one of the greatest literary voices of our time. He brought poetry back to the people, writing about real human issues in his own inimitable style. The Fellow will be based in the Seamus Heaney Centre at Queen’s. Professor Fran Brearton (above left), from Queen’s School of Arts, English and Languages, said: “When we established the Seamus Heaney Centre for Poetry here at Queen’s, one of Heaney’s requests was that it had a commitment to bringing forward young people. Through the Heaney Legacy project, we have already been able to support young people studying literature at the Centre. Click on video below for more about post; full details on how to apply can be found here. Applications close on Wednesday 15th March 2017. Media inquiries to Emma Gallagher, Communications Officer at Queen’s University on 028 9097 5384.